Nestled along Horseshoe Bay is Bay Moorings Restaurant. 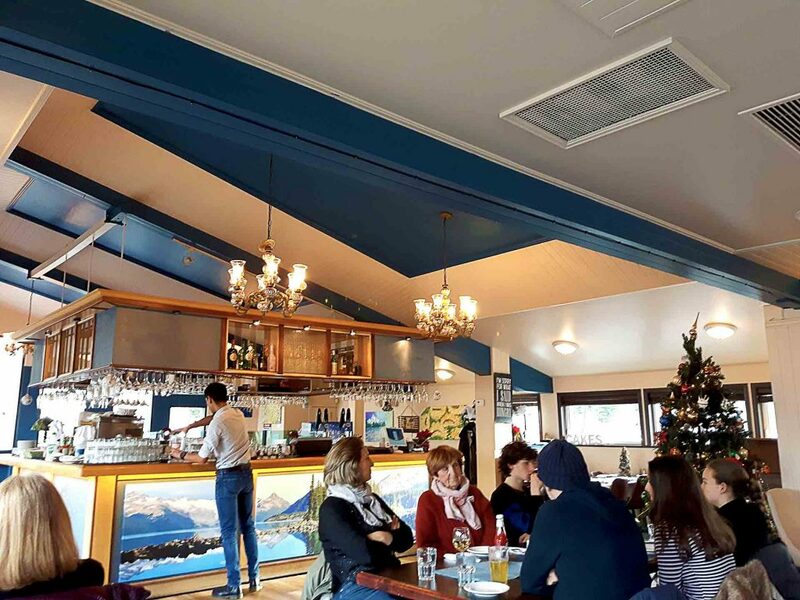 Conveniently located next to the ferry terminal, Bay Moorings is a great place to relax with a drink or a meal as you soak in the incredible views of the water and marina. It also makes for an ideal stop on the way to or from Whistler, as it’s right off the Sea to Sky Highway. 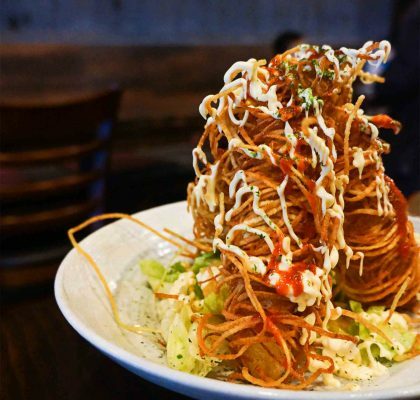 On such a trip home from Whistler, I stopped by Bay Moorings in search of comfort food. When I saw the House Signature Fish and Chips on the menu, I knew it’d be my choice. 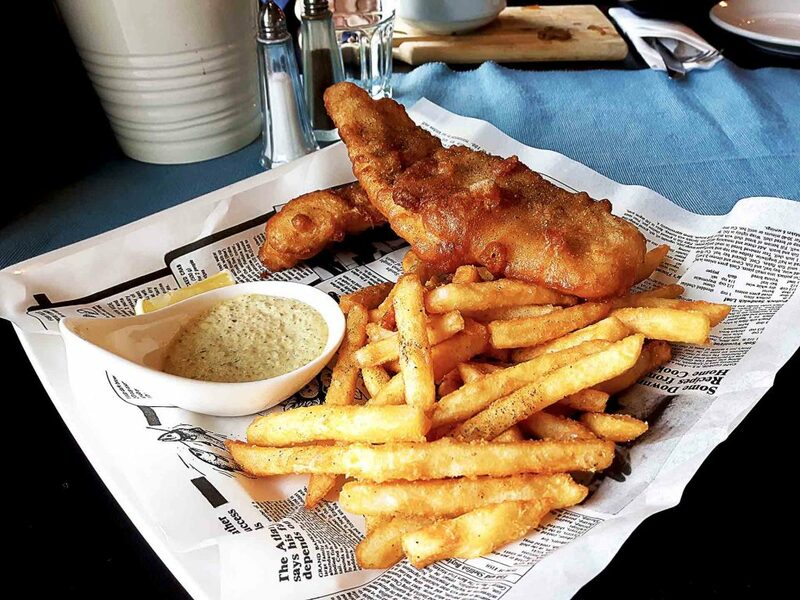 Bay Moorings offers two options for their fish and chips – haddock with homemade tartar or halibut with curry mango sauce. I went for two pieces of haddock with fries and this dish didn’t disappoint. Plated on newspaper-like paper, the dish featured two pieces of fish stacked on a mountain of fries. As a I took a bite out of the haddock, a peppery flavour emerged amongst the crispness of the batter. I took a closer look at the fish and saw a light sprinkle of pepper on it. Although I wasn’t expecting this taste, the little kick of black pepper was a welcome addition to the fish. 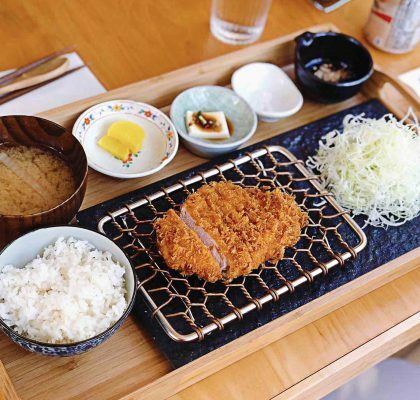 A squeeze of fresh lemon complemented the salt and peppered batter well. The haddock was lightly coated with a crunchy batter and wasn’t overly greasy like other battered fish I’ve tried. The fish itself was light and flaky, melting in my mouth. Moreover, the fries were perfectly salted and crispy. And the homemade tartar sauce was smooth and tangy. Overall, the combined flavours in these fish and chips were exciting and satisfying. 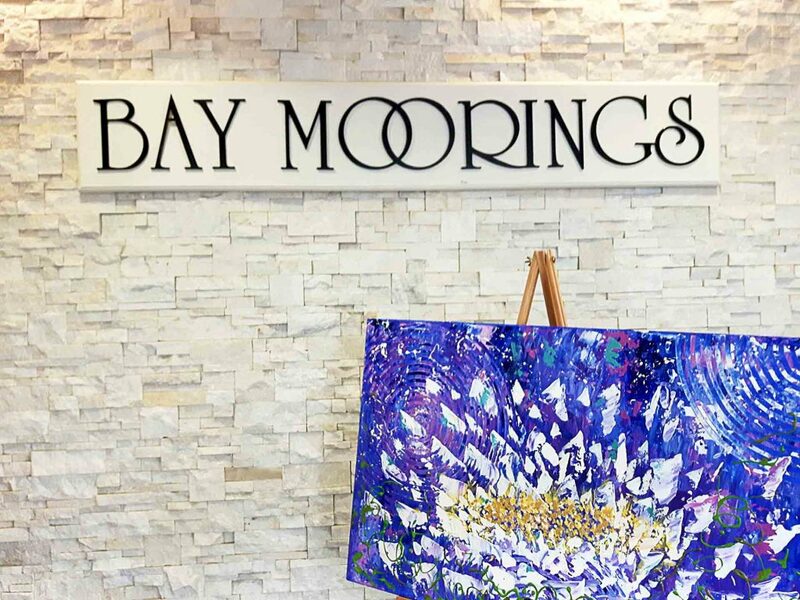 Bay Moorings Restaurant was established in 1979 and has been family-owned since then. 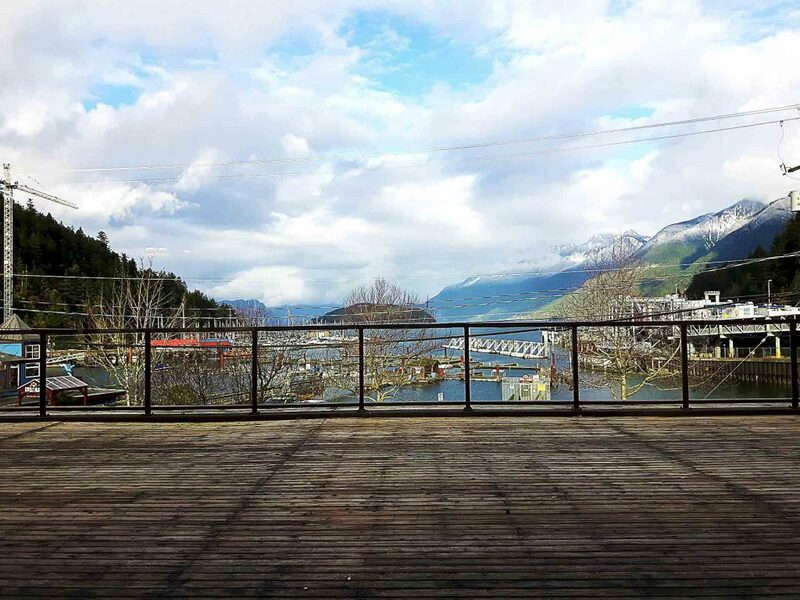 Located on the upper level of a building, the restaurant has a coveted patio that looks over beautiful Horseshoe Bay. The announcements from the ferry dock and the loud horn of the ferry pulling away give a sense of excitement and adventure. 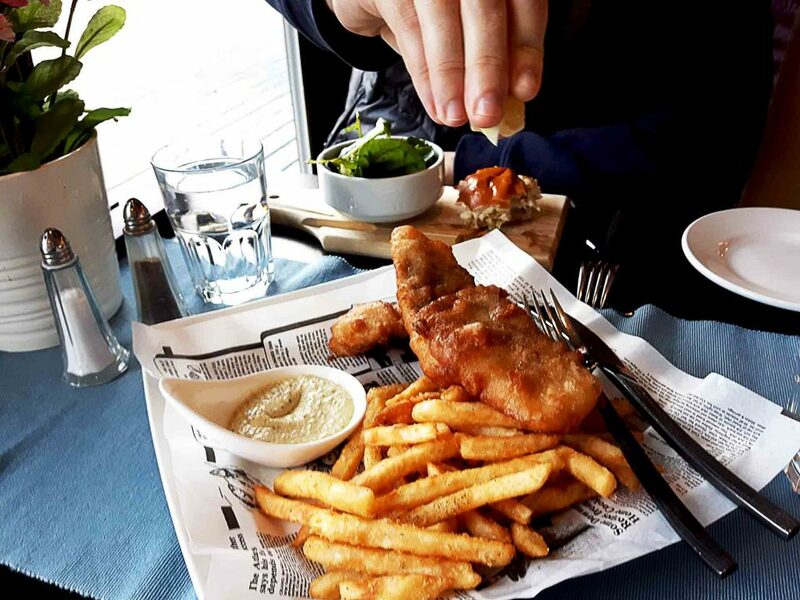 As such, there’s no better atmosphere than here to indulge in fish and chips while soaking in the sea air. 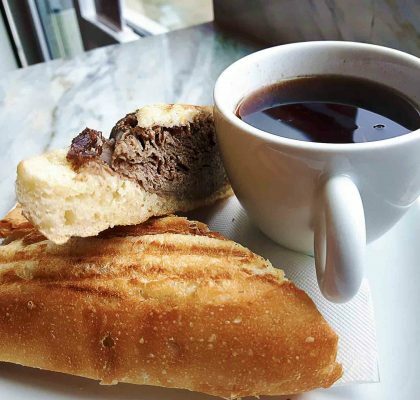 ← Don’t Know Where to Find An Amazing Macchiato? Their There.